Digital marketing services for local businesses. Digital marketing is one of the most important methods available for businesses to market their goods and services today. People are now connected to the internet 24 hours a day, 7 days a week, using smartphones, tablet computers and desktop computers to browse the internet and look at social media wherever they are. 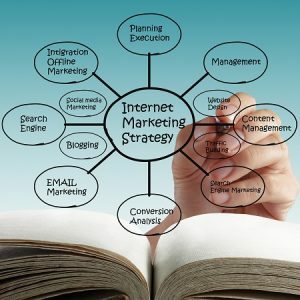 Before we can help a business with it’s on-line marketing strategy we need to understand what is currently in place and it’s effectiveness, so we can set a baseline against which the success of the new on-line marketing strategy can be measured. This will include identification of keywords that people searching for the business on Google and other search engines are using. Once we understand the current on-line marketing position we work with our clients to develop a new on-line marketing strategy that will increase their search engine ranking for the keywords identified as well as any others that are agreed at the time. We will then produce regular reports to show the impact of implementing the new on-line marketing strategy, showing how ranking on Google and other search engines is progressing. Google and other search engines want to ensure that the web page details they return as a result of a search are the one’s that best answer the search that has been entered. There are a number of things that can be done to optimise a business website for Google. We can help businesses with this, either through a report or through undertaking the work directly. We can also offer a monitoring service, producing weekly reports of how SEO is working for your website. Regular updates to your blog, together with it’s promotion through Social Media are one of the key elements of Search Engine Optimisation, as one of the key things that Google looks for is new relevant information being added to a website. We can help you develop and implement a strategy that will see your blog being updated on a regualr basis. We can also help you with writing your blog should that be of interest to you. Pay Per Click advertising using Google Adwords is the quickest and easiest way to get your website ranking highly on Search Engine Results Pages (SERPs). We can set up and run your pay per click (PPC) advertising using Google Adwords. We can provide a similar service on Bing, but would recommend working with Adwords first as nearly 70% of all searches are done via Google. Social media marketing forms a really important element of any business’s digital marketing. Different social media channels appeal to different sectors of the community and different age groups so it is important to understand your target market, but whichever social media channels are best for your business we can help. We can set up and manage all your social media channels, including Facebook, Twitter, LinkedIn, Instagram, Pinterest and YouTube. 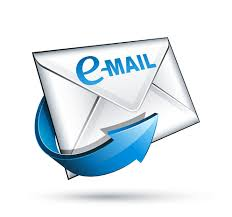 e-mail is an often overlooked tool available to businesses. There is a skill in developing e-mail marketing to get your potential customers to sign-up to your e-mail marketing and then to open your e-mail, read them and take action on your offer, but done in the right way e-mail marketing is still one of the best digital marketing methods available. Red Knight Solutions can help you build your e-mail marketing list and promote your goods and services to your subscribers in a clear and professional manner. Video is the most powerful media currently available for your business. They say that a picture tells a thousand words, so imagine how many words are told by a video!! We are able to produce a number of different types and styles of video, as we know that we’re not all great presenters or actors, so having to be able to appear in front of a camera can be very off-putting for lots of business owners. We have found that one of the most effective styles of video is the use of slideshow videos such as the video at the top of this page. We can also provide HD Bumper logo videos, cartoon style video, PowerPoint style video as well as more traditional presentation videos.